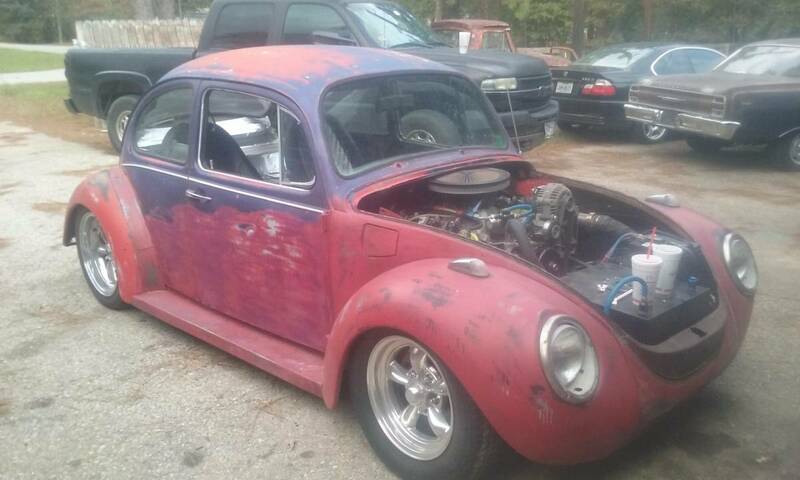 "What this Beetle needs is an injection of LS V8 power" -- said no person ever. The Volkswagen Type 1 Beetle is a classic that needs little introduction, but I will give you the highlights -- production started in Germany in 1938 and ended in Mexico in 2003, during which time over 21 million examples were assembled. 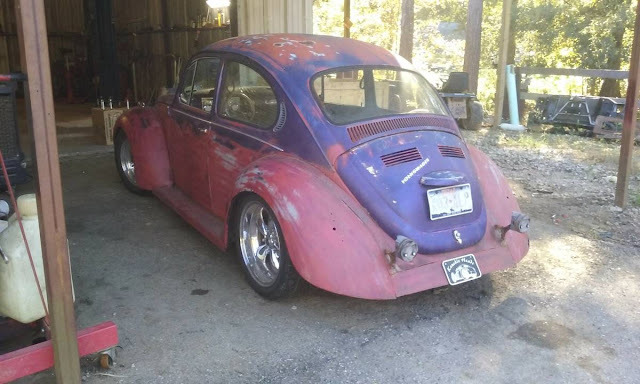 Find this 1969 Volkswagen Beetle V8 offered for $7,500 near Houston, TX via craigslist. Tip from Rock On. Love or hate the Volkswagen Beetle, but without its tweedly-peedley flat-4, it seems a bit flat. Dropping an LS1 V8 under the hood of a Beetle is a bit like replacing the lead singer from Journey with Dave Mustaine from Megadeth. You could stuff your Thanksgiving turkey with a bottle of Sriracha chili sauce but...why? Yeah, I'm no fan of Journey, but Steve Perry can belt better than most, if not all. Yet another that could only be replaced by the talents of a little Asian guy (Layne Staley anyone?). How much Torque (as in wrench) does it take to shift ? I guess when they got to the hood, and could not figure out how to make it close, they decided to sell. Surely there was another option for the location of the alternator. I do like the old-style beam-deflector torque wrench as a shifter. I have a couple of those in the bottom of my tool chest. I have been wondering what to do with them.